Saul Marquez: Hey welcome back to the podcast. Saul Marquez here, today have a fascinating and interesting guest for you. His name is Dr. Tracy Gapin. He is the founder of Smart Mens Health and Sarasota Prostate Cancer. 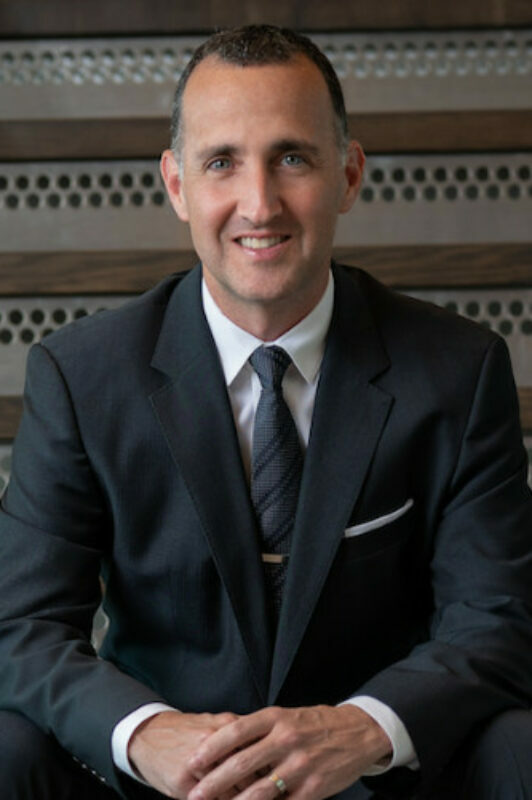 Dr. Gapin is a Board Certified Urologist and Mens Health Expert focused on providing men a personalized path to optimizing health and performance. He offers epigenetic coaching including state of the art biometric monitoring, nutrition and lifestyle intervention, and bio individualized hormone optimization to help men optimize their potential. Dr. Gapin combines his extensive experience with cutting edge technology to offer patients state of the art care and compassion. He’s been a true pioneer for innovation throughout his medical career including being one of the first urologist to perform robotic surgery as well as 3D MRI US targeted fusion biopsy for advanced prostate cancer detection which has since become the standard of care. So it’s a privilege to have Tracy on the podcast here today and I’m looking forward to an exciting conversation with you Tracy, welcome. Tracy Gapin: Thanks Saul. Thanks so much for having me. Saul Marquez: It is a pleasure. So what got you into the medical sector, Tracy? Tracy Gapin: Yeah I’ve actually had a passion for medicine since I was a kid. You know I was in fourth grade when I decide I want to be a doctor. We had to walk through a heart diagram on the ground you know walking through as if we were the blood flowing through the heart and I immediately became fascinated with the human body and anatomy. And so at fourth grade level I knew I wanted to be a doctor. Saul Marquez: Pretty early on. Saul Marquez: You stayed and win it. Tracy Gapin: Yeah I sure did. That’s right. Now I also my background is interesting because I think my passion for mens health actually really was founded when I was a kid. My parents divorced when I was very young and my biological father was not really a part of my life growing up. He had some health issues as well. And so I learned kind of firsthand, I personally experienced how important it is for a man to be healthy present and engage with the family as both as a father and a husband and a leader. And so when I went into medicine I don’t think it was an accident that I chose Men’s Health where I could actually help men optimize their health and reach their full potential so that they can be present and engaged for their families and loved ones. Saul Marquez: Well I think that’s great. And appreciate you sharing that story Tracy. You know and some gosh without health you have nothing. It doesn’t matter how big your bank account is, it doesn’t matter how many friends you have without health, it really does not mean anything and so love that you have such a hyper focus in men’s health. So I’m excited to dive into that a little bit further. Saul Marquez: What what would you say is a hot topic that needs to be on health leaders minds and men’s minds as it relates to your work. Tracy Gapin: Sure. I think in this day and age we’re really moving toward precision based personalized medicine and really looking at epigenetics and how our genes are really intimately associated with our health and how we can leverage those genetic aspects and features of each of us individually to improve and optimize our health. Saul Marquez: So maybe you could dive into some of the things that you’re doing. Be it be greater to understand this better perhaps as some examples of how you’re doing things differently and improving it. Tracy Gapin: Yeah. Absolutely. So let me give just a little bit of foundational kind of background for people who may not fully understand a lot of these words that I throw around so casually. So our DNA is basically our our code our human code that’s in every single cell of our body. We have 46 chromosomes and our chromosomes are made of DNA and the DNA create genes and those genes in our chromosomes are what dictate how we perform, how we function, how our body produces muscle, how we metabolize food, how we exercise and so on. So so every part of our body is defined by our DNA. What’s really fascinating is that we have learned that we can actually affect the expression of our DNA by lifestyle. And so what I mean by that is the DNA codes for how our body functions but we can change that simply by how we eat, how we sleep, how we breathe, how we think, how we move, our toxins around us how we are exposed to various toxins and chemicals in our environment. So it’s fascinating all these things have a direct effect on the genetic expression of our bodies and we have control over that. And so I like to say that our DNA is not our destiny and that we actually have the power to control the expression of our genes that you know there’s a couple analogies to use for this. One of them is our DNA is the sheet music. So if you think of music and it comes from sheet music from written notes while our DNA is basically the sheet music it’s the written notes but you can imagine that those notes can be played in many different ways and we could change the way those notes are expressed. And so that’s what I think is a really good analogy for epigenetics and that is really the science of how our environment and lifestyle directly affects the expression of our genes. Saul Marquez: Well I think it’s super empowering Tracy to to hear you explain it. And listeners I’m sure you’re probably scratching your head and saying really it’s kind of interesting. DNA is not our destiny and we actually have the power to control the expression of our genes. So love this idea and we love to hear you more like explain about some of the things that you do with your patients and the people around you to help them use this message to empower their own lives. Tracy Gapin: Yeah absolutely. So you know it all starts with our genes and what I will do with my clients as I take my clients individual needs first understand what their health concerns are, understand what their challenges are and what they’re trying to accomplish, their goals, and really understand their why you know I think I think a key focus for us as clinicians really needs to needs to be to understand our patients or our clients. So I start with that and then I take my client’s genes their entire genetic profile or their blueprint to understand at a foundational level the basis for their health. And when I say that to put it very specifically I look at genes that are intimately directly related to nutrition to how they metabolize fats or carbs or proteins. Their bodies of hunger and satiety genes which affect when you’re hungry or when you feel full it affects your ability to metabolize certain micronutrients and which ones you might need to really focus on in terms of supplementation. I look at genes that are intimately tied to sleep. So one of the biggest problems I see in my clients that I think almost universally is that men are not getting enough sleep and sleep has been shown in several studies to have a direct profound effect our testosterone levels. And so a large portion of my practice is helping men with hormone optimization and one of the key parts that is sleep. And so there are specific genes that are tied to our circadian rhythm to when we are supposed to wake up when we’re supposed to go to sleep. Our ability to stay asleep how long it takes us to fall asleep in terms of certain nutritional factors that may affect OUR sleep for example like glutamate which is not an M.S.G. Some people don’t metabolize glutamate as well as others and certain genes your genes would show that. And that might be why you’re not sleeping. It may have to do with your melatonin production or your melatonin sensitivity. So these are examples of just the nutrition and the sleep components of what I look at to help men optimize their health. And you know I look at seven main broad categories of genes nutrition and sleep are the two big ones, I look at hormones, I look at detox, I look at supplementation, I look at movement, when I look at stress, and each of these categories each of these major areas of health are really intimately tied together. A lot of guys who I’ll see in my practice will come in and they will have gone to the T clinic that you know the testosterone shot clinic down the street where they can spend 40 bucks and get a testosterone shot. And the problem with that is that’s looking at one single small tiny little piece of the whole picture. And each of those seven major areas of health are all intimately tied together. Saul Marquez: And it’s a bandaid right. Tracy Gapin: Yeah it’s a bandaid, it’s a short fix and and normally it does not fix the problem because it’s a whole body. And I like to call it a systems based approach. All body systems based approach. And what I mean by that is the human body is complex and you cannot look at one single specific individual gene and or one specific testosterone level and make a decision on how to take care of a patient or how to optimize that person. You just can’t, it’s impossible. And so you have to look at all that put together it requires you know expertise or it requires judgment. It requires really understanding the patient understand the client and knowing their needs and helping them get there. Saul Marquez: Well there’s no doubt that this is enlightening information. And as we turn the corner in medicine and in our capabilities to understand the deeper aspects of our genetics and we’re empowered to make decisions like the ones you’re you’re talking to us about Tracy. It’s really an inspiring place to be in history. Kudos to you for being at the forefront of it and helping the people you help with it with every stride forward. I always say there’s always a setback. I’d love if you could share a setback that you had, what you learned from that and what why’s made you better? Tracy Gapin: Yes that’s a great question Saul and I appreciate you having me on your job. I really love talking about this stuff. You know it is interesting going back to medical school and I mentioned your question here just taking a bit of a segway for a second. Saul Marquez: No that’s cool. Saul Marquez: Were you really? Saul Marquez: That’s awesome man. Tracy Gapin: So yeah he’s a good guy good guy. So yeah you know we’re trained in disease model and that’s really what the Medical Foundation is here in the US and it’s broken and it’s flawed because we’re never really addressing underlying problems underlying problems of health. And you know starting at that root cause level and understanding how to optimize health before you run into a disease before those problems come up. And so coming back to your question I think when I started working as a physician and outside of my residency program as a private practice physician I was very blind and it was really all about just that about fixing diseases by giving you a prescription medication push you out the door you get your 10 minute visit and I’ll see you next time and it’s all about you know prescription medications and surgeries and and never really addressing the underlying problem. So some guys recommend for low testosterone and even back then you know we were so poorly educated on hormone optimization and testosterone that you know though the reference range up to 58 to eleven hundred which which is a total joke the whole separate topic I would say you got down with a testosterone or two fifty five. Yeah you’re fine you’re just in the low end and all but you’re fine you know. And that was coming from my medical training through an actual urology residency program six years of Urology training and I come out and that’s the little knowledge that we really get. And so through some of my own health challenges that I experienced and work through the literature and meetings and courses and textbooks and podcasts and all this education that I have done over the last 10 years now I have a whole new understanding for truly optimizing health and that’s what it really needs to be about it needs to be about you know not just getting to homeostasis not just getting rid of disease but actually optimizing and being at our best. And so that’s my mindset now. And so it’s understanding things and really a completely different way than that how they teach us in medical school. Saul Marquez: And your approach is definitely inspiring. I am whenever I go to the gym and workout I and I’m and I’m struggling with a set I’ll actually envision myself being 90 to I don’t know why but 90 to actually know I started and I was like 82 and I’m like You know what. Why can’t I have. Yes that’s right that’s right I’m picturing myself being 90 to doing some squats. And it’s empowering to me. You know it’s empowering to think that maybe I won’t be squatting as much but I’ll still be doing it. You know why not. Saul Marquez: And it goes to your point optimization not homeostasis. Tracy Gapin: Right. Exactly. And that’s really the secret to longevity. People looking for the fountain of youth. We have it right there in front of us people just just don’t want to necessarily take it and grab it and go with it. Saul Marquez: So dear future centenarians. Right. Tracy Gapin: That’s right, I like that. That’s good. Saul Marquez: So Tracy I mean so what’s your vision. I mean are you going to make it to 100 and you’re going to pass 100. What do you think? Tracy Gapin: Yeah I sure hope so. I think that as we as a society start to adopt all this I hope that that will extend our health not just lifespan but like health span because you know I don’t want to be 90 in a nursing home living to a hundred. I want to be playing tennis on 100, I want to be playing golf on 100, I want to be active and engaged with my friends and family and living. And so that’s what it’s really all about. Saul Marquez: That is a much more meaningful term. Folks next time you think about your quote unquote lifespan what you think about your health span. That’s what’s really meaningful. Love that. Tracy Gapin: That’s right. Yeah. Saul Marquez: What would you say today is one of your proudest experiences in healthcare Tracy? Tracy Gapin: Out with a divinity robot. I was proud of that speech that accomplishment. But then things really evolved in 2012, in 2013 where there was a really rapid change in prostate cancer diagnosis and we started relying on using prostate MRI and MRI guided biopsies which is a technique where we can improve biopsy detection by actually using image guidance. And up until then it was a blind approach really where we just kind of used ultrasound guidance to see the prostate and then randomly stick needles in the prostate hoping to hit a cancer if it’s even there. And so now we have MRI that can really show it’s the internal anatomy the prostate and guide our biopsy. So I was definitely an early adopter of that technology. Back in 2013 I was really the first one in Sarasota to start using it. And now over the last five years MRI guided targeted biopsy has really become the standard of care almost everywhere now. So I’m really proud of that. I was also the first urologist in Florida to perform HIFU which is a high intensity focused ultrasound and that’s a non-invasive prostate cancer treatment that can preserve sexual function and preserve urinary function while still providing good ancologic outcomes. Tracy Gapin: So yeah. So really cool stuff and now with with epigenetics I feel like I’m definitely an early adopter in the medical field in terms of using epigenetics to leverage our genetic potential. I like to say to really focus on optimizing health instead of just just getting rid of disease and unfortunately a lot of medical but are still not quite jumping on the bandwagon yet they’re not quite adopting this philosophy but I think eventually it will be very much more pervasive and much better understood by other physicians. Saul Marquez: Well yeah it’s a great point and I think I’m interested to hear your thoughts to Tracy that a big detractor to to following this new way is the lack of payment models supporting it. Tracy Gapin: Yeah you bring up a great point. You know the insurance model is so broken it’s such a mess and there’s really there’s no incentive for optimizing health. There’s no incentive for promoting wellness and it’s a real problem. And so unfortunately people who are more fortunate who are wealthier are going to have more access unfortunately and hopefully as this evolves as there’s more awareness hopefully that will change and that there will be better insurance coverage for those who are less fortunate. Yeah. Saul Marquez: Yeah I know it’s definitely a payer model, a shift that needs to happen to support a broader broader uptake. Tracy Gapin: Yeah definitely. Agree. Saul Marquez: So hey I’m excited for you and I’m excited for the people that you work with. Tell me a little bit more about an exciting project that you’re working on. Tracy Gapin: Yeah so I would have to say that this is epigenetic coaching program that I’m working on it is the most exciting thing that I can think that that I’ve done really in my career because it’s a complete mind shift, it’s a complete change in perspective, a change in and like you said philosophy. And so I have developed an entire epigenetic mens health coaching program where I take men through their genetics. I do a detailed biometric lab panel, my various other like to say toys ahead testing devices and various biometric testing tools that I have in the office to get really a baseline health assessment and then I create a tailored bio individualized personalized program for men where I help them optimize and that looks different for everyone. And that’s really what precision based performance medicine is or personalized medicine or whatever you want to call it. It’s about individually looking at the client understanding their particular genetics their particular biochemistry and tailoring the program around them and not just not just telling them hey you need to go to go to Quito you have to go to strength training an interval training you have to sleep seven hours it’s like it’s really so much more than just some blanket B.S. no health advice that that doesn’t necessarily apply to everyone. Saul Marquez: I think that’s really great. And it’s really exciting and definitely something I’d be interested in. Tracy Gapin: Yeah for sure. Sure you go. Saul Marquez: Yeah we will. So Tracy we’re getting close to the end here. Let’s pretend you and I are building a healthcare leadership coach course on what is to be successful in medicine. It’s the ABC is of Tracy. And so I’ve got five questions for you. Lightning round style followed by a book that you recommend to the listeners you ready? Tracy Gapin: Sure. All right. Saul Marquez: What’s the best way to improve healthcare outcomes? Tracy Gapin: Focus on the individual. Tracy Gapin: Following a one size fits all plan. Or listen to the latest fad. Tracy Gapin: Read. Read, research, question and ask why. Saul Marquez: What’s one area of focus that drives everything in your work? Saul Marquez: And what is your number one success habit? Tracy Gapin: Never give up never quit. Persistence. Saul Marquez: What book would you recommend to the listeners? Tracy Gapin: I think there are two books one is Start With Why and is by Simon Sinek and it really talks about you need to really focus on your why. What is it all about for you and everyone’s different. I know my why and everything I do, everything I think about, I breathe, I eat, I sleep, based on my why and so I think that is really what drives my determination to wake up and keep going hard every day. The second book would be How to Win Friends and Influence People because I think that’s a book that anyone and everyone can can gain some really great insight on just communication skills outstanding folks. Saul Marquez: Dr. Tracy Gapin here, great book recommendations we built a little syllabus for you, full transcript, you can get all of these things at outcomesrocket.health. Just look up Tracy Gapin you’re going to find all that they’re excited for you to dive in further, hit rewind because there are some really great pearls in this podcast. Before we conclude Tracy, I’d love if you could just share a closing thought and in the best place where the listeners would get in touch with you or follow you. Tracy Gapin: Yeah sure. So I would suggest all the guys out there focus on how to optimize your health not just get to baseline. One thing we didn’t talk about today is that testosterone levels are declining rapidly at a population level and there’s so much that needs to be done. And it’s not just giving your testosterone there’s so much more than that it’s a whole body approach. And so I think optimizing your health is really something that I think everybody needs to focus on. You can find me at my website as a drtracygapin.com and I also have a free download as an e-book called Edge blueprint that goes through just a general guide to how men can optimize or help get their edge back. That’s an edgeblueprint.com it’s a free download. Saul Marquez: Love that Tracy. So folks we’ll have those links in the show notes for you. So just look them up outcomesrocket.health lookup gapin boom and then you got a free e-book, a link to Tracy’s website. Learn some more about how you could optimize your health instead of just hitting that baseline. Tracy this has been inspiring really appreciate you spending time with us today. Tracy Gapin: Absolutely Saul, a joy being here thanks so much. The above audio transcript of “Epigenetics: Optimizing Your Healthspan with Tracy Gapin, Founder, Sarasota Prostate Care” was transcribed by the best audio transcription service called Sonix. If you have to convert audio to text in 2019, then you should try Sonix. Transcribing audio files is painful. Sonix makes it fast, easy, and affordable. I love using Sonix to transcribe my audio files.